Belkin has launched a new powerline Ethernet kit, which is designed to carry your data through the power lines at lightning fast speeds of up to 1000 mbps, the Belkin Gigabit Powerline HD Starter Kit. The Belkin Gigabit Powerline HD Starter Kit is designed to stream HD movies from your homer server or PC, and it can be used for multiple video streams. I have to admit that is pretty fast, I am currently using a 200 mbps Ethernet kit which is fine for SD movies but doesnt work too well for HD movies. 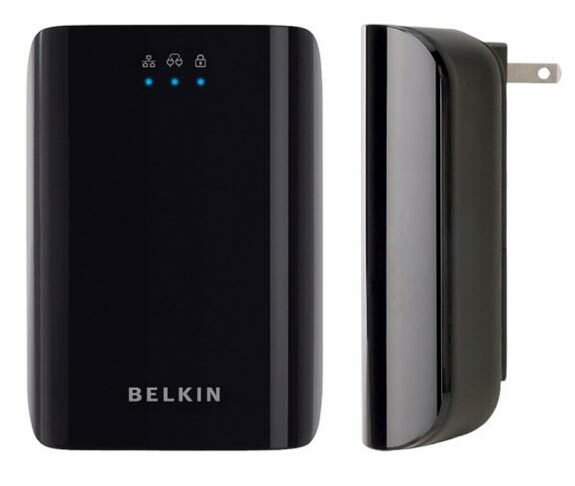 The Belkin Gigabit Powerline HD Starter Kit is available for $149.99 from Belkin.